Green Building Store has been supplying pioneering sustainable building products since 1995. We supply a range of specialist products and services for Passivhaus and low energy projects, including triple glazed timber windows and doors, MVHR heat recovery ventilation, insulation, airtightness and water saving products. 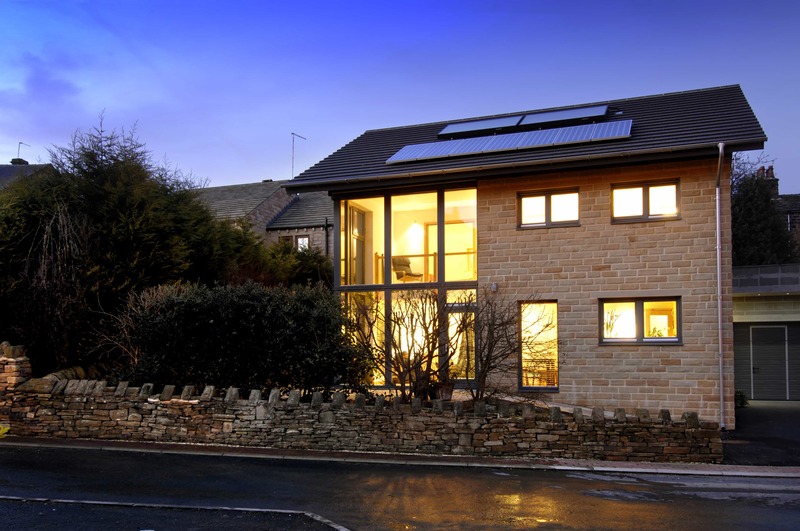 Our construction division Green Building Company built the pioneering Denby Dale Passivhaus and refurbished the Stirley Farm EnerPHit project for Yorkshire Wildlife Trust and has recently completed the Golcar Passivhaus and Cumberworth radical retrofit projects. Green Building Store is committed to low energy building to help reduce carbon emissions and cut heating bills. The most effective way of doing this is to focus on the building fabric, using high levels of continuous insulation, together with stringent airtightness and advanced ventilation strategies. This approach leads us to be strong proponents of the Passivhaus approach to low energy building, which can cut a building’s heating need by 90% compared with the UK average. As well as reducing energy bills and CO2 emissions, low energy and Passivhaus homes and buildings can improve the quality of life for occupants. Constant warm and even temperatures, eradication of mould and condensation issues, and elimination of cold spots or draughts can really make our homes and buildings more comfortable and enjoyable places to be. By developing expertise in Passivhaus products, Green Building Store hopes to facilitate the construction of Passivhaus buildings in the UK and to promote current ‘best practice’ in low carbon construction. Meet the team - contact details of Directors and staff at Green Building Store.